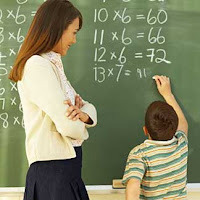 Just as moms and dads have difficulties in identifying the early signs of Aspergers and High Functioning Autism (HFA), teachers also may be uncertain of key features to address educationally. During the individual development of the child, moms and dads and teachers must take notice as skills blossom or fail to develop as expected. Many kids suspected of Aspergers and HFA are brought to the psychiatry, psychology, or early childhood departments of pediatric medical centers. Other kids with Aspergers in the U.S. are spotted as having unique delays by child find screenings and soon receive pull-out or part-time programs for preschool kids with developmental delays. They frequently require speech/language, occupational, and physical therapy interventions. They are monitored for further crystallization of symptoms. Frequently, behavior management programs and parent support programs are employed. There are many jurisdictions, however, where these early assessment and intervention opportunities are not in place. Early on, kids suspected of delays might be classified in general as having pervasive developmental disorders, an umbrella category for many of the varieties of autism. They may be seen as multiply handicapped or multiply disabled. They may be placed in a diagnostic center or in a diagnostic mode while they are being monitored. Schools are some of the best laboratories for differentiating appropriate classification schemes, as the strengths and weaknesses crystallize in the child’s attempts to absorb, adapt to, and master the world of learning. Children with Aspergers have a restricted range of interests that can take unusual or eccentric forms. For example, some may be interested in unusual things, such as washing machines, bus timetables, or subway maps. Although their obsessive interests may be similar to the interests of other children, they are unlike other children because their restricted interest is the only activity in which they participate. Their rigidity is often exhibited as an insistence on a specific order of events, a compulsion to complete what was started, an insistence on rules, a difficulty with transitions, or a fear that is based on a single experience. They do not seem to recognize that there are times when rules can be renegotiated, bent, or broken. Because they may have difficulty predicting the future, insisting that things happen in a certain order can be comforting to them. Many children with Aspergers have additional psychiatric diagnoses, such as attention deficit hyperactivity disorder (ADHD) when they are children and depression or anxiety when they are adolescents and young adults. Even though children with Aspergers often lack the emotional resources to cope with the demands of the classroom, they do not always demonstrate stress through their tone of voice or body posture. Therefore, their inner turmoil may escalate to a point of crisis before others recognize their discomfort. Teachers should be aware that changes in behavior—such as greater levels of disorganization, inattentiveness, and isolation—may be indicative of anxiety or depression. Because these children typically have difficulty identifying their own emotions, they may not be able to acknowledge that they are sad or depressed. Teachers need to be aware of the signs of agitation to initiate interventions to avert an emotional or neurological crisis. Create a safe place for a student to go when he or she feels a need to regain control. Similarly, consider safe escapes—for example, sending a student on a simple errand—that remove the student from difficult situations in a non-punitive manner. Limit opportunities for obsessive talk about special interests by providing a specific time of day for this behavior. Use the student’s fixations as a method to broaden his or her repertoire of interests. Provide a predictable and safe environment that avoids things that could trigger rage or a meltdown in students. Because a student or group of students can be a trigger for this behavior, it may be wise to limit interaction. Set up consistent routines with clear expectations throughout the day. Warn the student of upcoming transitions and try to avoid surprises. Teach an appropriate replacement behavior when extinguishing an inappropriate behavior. For example, teach the student to engage in such appropriate waiting behavior as counting slowly to 10 rather than screaming to gain the teacher’s attention. Use humor to diffuse tension. Shorten or modify their written assignments and consider allowing them to use a word processor or computer. Even when my son was diagnosed with Aspergers and we implemented IEP and 504 Plans, it was and still is, hard for his teacher's and most of the school staff to identify Aspergers issues regarding his education as well as social being. Checking into this for my Merrie. She wants to stay in public school right now but is struggling with the girls social skills and feels left out. Her maturity level is about at a 7 year old and girls are growing up so fast. Please pray that God will lead me to give Merrie the very best for what He Knows is best for her. This is EXACTLY why I've started homeschooling my son. Things go to the point where I was having DAILY conversations with his principal and teacher before I made the decision to pull him out. Now ... he's learning things easier and actually RETAINING what he's learning. Charity ... feel free to friend me. I have been and still am where you are now. Having my son properly diagnosed has made a world of difference for us. Mainly because .. we FINALLY have answers to a few of the questions. I think that acceptance and education depends on the school and the teachers. My daughters last school was fantastic. She was on that honor role every year, she had so many friends. The new school has been horrible. She's been bullied everyday and most of the teachers don't want to deal with her..... Even with an iep. Because of this she is struggling with her grades. I'm hoping next year when she gets to high school it will be better. One thing I can tell you James it will be a challenge but it can be done with the right advocate representing you. Me having Aspergers dealt with this kind of issue before and lack of acceptance from teachers & counselors. But on the plus side of it, graduated from High School, and got a diploma. But had been in a couple of Special Ed classes of course to help me. Thank you. my son thomas was diagnosed with global developmental delay at an early age which means he is delayed in all ereas and he has the mental age of a 3 year old and is nearly 7. as it says in the document that this does happen but because of this it is really difficult to get a diagnosis because my son has been referred for a assesment by school because they have recognised with myself that there is more to my sons behaviour than his diagnosis at the moment. thomas was seen on 2 ocasions at the clinic for just 45 min per session and they used that and said he didnt need a proper assesment because he already has a diagnosis and they have to take that into account but neither me or school was happy about this so school helped by getting him a mental health specalist for a second oppinion and she too agrees that there is more to his behavioures so she has now referred him to hopefully get a proper diagnosis. i think is is discusting that we have to fight so much for our children to get the help and support that they need and its so emotionaly draining to be told all the time by the specalists that it looks like hes def got aspergers or hes def got all the sighns and then for them to keep chaning there mind. they shouldn't say anything to parents untill they are shure it is rong and should be stopped. We have decided to remove our son from public school and homeschooling him beginning next year. Despite have received intensive early intervention and making tremendous progress, the school environment is too socially distractive and destructive for him. Rather than spending all of our energy fighting a school system that is intent on NOT providing services, we have decided to focus our energy in a positve manner and give our son what he needs. I truly hope that there will come a day when the needs of our children can be met in the school system. Your site has given me hope and insight. I am wondering if you might be able to help me with a dilemma. My 12 year old son has recently been diagnosed c/ ADD, high functioning aspergers and he has tested as gifted, his scores are in the top 1%. I have not been able to get this kid to school, he luckily was in an online program, because of high anxiety r/t school kids, fear of being bullied, stomach aches, headaches. It has been a nightmare. I could barely get him out of the house to play baseball. I have two choices for my son and me. Move to be with family, a large extended family, great support, the village empire approach. However, the schools are terrible and no money to support Special Ed, no gifted classes. Or I can take him to a city that has a school that seems to really understand what is going on for my son. They can integrate him when ready or have quiet places for him to work and have some "sensory" breaks. He can excelerate to meet his needs. But no familial back up. I am so confused as to what is the best choice for my son. I see his "specialness" as a gift and want to get him to where he can shine and come out again, so he feels safe to work through the anxiety. The crazy family, with all the kids, really has helped him to act like himself again. It is a beautiful thing. Do I follow the education or the support?? Thank you for your thoughts. I need to make a decision and am boondoggled. RE: Do I follow the education or the support?? Definitely education. Aspergers kids are typically not that interested in the social/familial aspects of life, but they definitely struggle (and have significant life-long issues) when put in an education setting that ultimately destroys their sense of self-worth. My son excels in school... We have far more issues with the lack of predictability in other settings that are less structured.